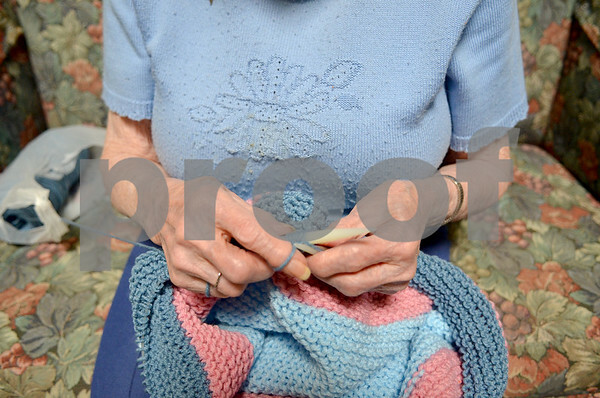 In her free time, Mavis Bell, 104, knits baby afghans for the staff at Oak Crest Retirement Center on Tuesday, April 22, 2014. Bell will be 105 years old on Sunday. She has a large family including 13 great-great-grandchildren.